The use of smartphones, tablets and computers has become firmly integrated into our daily lives. Even the most resistant adopters of electronic devices in their daily lives often find themselves on the way to their local library or a family member’s house in order to ‘get online’ to complete an important task. Fast moving technologies can make once simple tasks like banking or ordering from a catalog difficult for those who have not stayed up to date with changes. While in many ways it can seem like technology has overtaken our lives, it has brought us many opportunities we previously didn’t have. Being able to place a video call to grandchildren who may live miles and miles away from us, or to consult with a physician and get help without an appointment, enriches our everyday experience. Using electronic devices can also empower us, increase our independence and safety, and reduce isolation by connecting us to our communities. In May, the Pew Research Center (2017), released results on a study of the use of technology by older adults and the results indicated a significant increase of electronic devices in the few years. Since 2011, the use of smartphones among older adults increased 35%. Today 4 in 10 adults age 65+ own a smart phone. There were similar increases in tablet use. One third of seniors own a tablet, like an iPad, which is a 19% increase from 2010. These results indicate that older adults are just as connected as other age groups, yet for many older adults, their devices seem more a hinderance than a help in their daily lives. While 75% of older adults surveyed in the Center’s study are online several times a day, only 26% of those same adults feel confident in their use of electronic devices. There are several factors that contribute to this experience, but one of the main ones is the feeling of disorientation that older adults sometimes experience when they first get a smartphone, tablet or computer. Well-meaning family members, may get a device for a family member, set it up for them with passwords and security questions they don’t share with the new owner, and then become impatient with them when the device isn’t working properly. Seniors will often limit themselves to only using features of their devices that they are certain they know how to operate, like making a phone call or playing a favorite game, missing out on a world of functions and apps that can actually enhance their lives and help them continue to be independent. Learning to use a grocery delivery or a transportation app can also relieve family members of some of the overwhelming responsibilities of caregiving. There are many organizations working to help seniors become more comfortable and proficient on using electronic devices throughout the nation. Public libraries are a great resource for seniors to learn the basics about how to use computers and even tablets and smartphones. 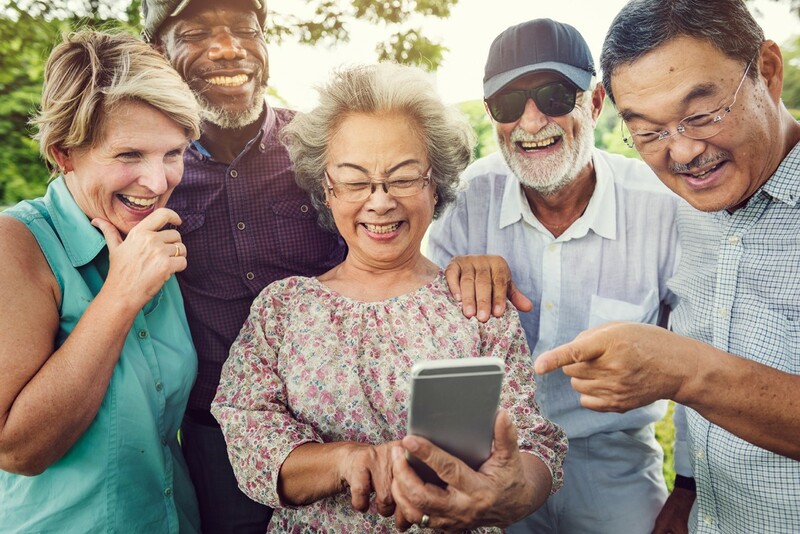 Area Agency on Aging of Western Michigan developed a class to teach seniors how to use their devices, show them specific applications available that can support their independence and connection to their communities and protect themselves from scams while on the internet. On Tuesday, May 7 from 1:00 - 3:00p as part of Family Caregiver University, Kendrick Heinlein and Regina Salmi will present “Making It Easier: Helping Seniors Enhance Their Lives with Technology”. On this day, we will go over the best ways to integrate new technology into the lives of older adults, some of the assistive technologies built into many devices and review apps that can help caregivers manger their lives. The class will take place at Area Agency on Aging located at 3215 Eaglecrest Dr. NE, Grand Rapids, MI 49525.